Atlanta Mayor Kasim Reed spoke with CNN’s Carol Costello about the city’s response to the storm that paralyzed the city of Atlanta. Mayor Reed highlighted the city’s response to the storm with preventative measure up to what is being done to make city roads passable. Mayor Reed believes the mistake made was not staggering release times for businesses and schools. He said doing so contributed to the massive gridlock that stranded motorists. 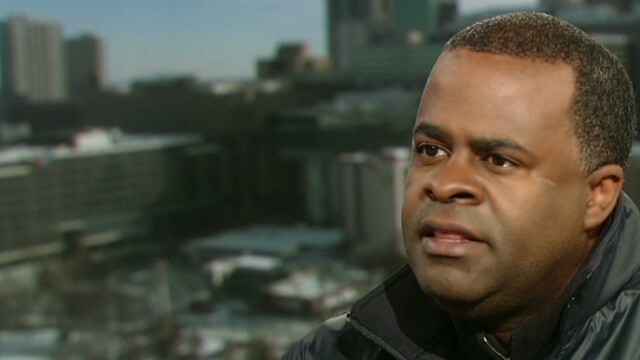 CAROL COSTELLO, CNN ANCHOR: Joining me now is Atlanta mayor, Kasim Reed. Thanks for coming in, Mr. Mayor. I appreciate it. MAYOR KASIM REED, ATLANTA: Glad to be with you. COSTELLO: You know how angry people are at you? REED: Well, I don’t feel that people are angry at me. I think that they have a great deal of frustration. COSTELLO: You don’t think people are angry at you? COSTELLO: There are plenty of people who say the school children should never have been placed in that position. That schools should have been closed before the weather hit. REED: Well , Carol, let me say this: if you’re being fair, you would point out that the Atlanta public school system makes the call on when the system is closed. COSTELLO: But don’t you collaborate? REED: No, no, no, you ought to be fair with the interview. The Atlanta public school system calls and the school systems independently call when they close. So what we did was communicate, and yesterday, immediately, I said that I thought it was a mistake for business, government, and the schools to announce those closures. Which caused people to flow into the streets and created a major traffic jam. COSTELLO: — so they just overruled your suggestions? REED: This isn’t an overruling. The bottom line is I said that if I’d had my druthers we would have staggered the closings, but for you to represent or make it seem as if I control when the school systems close or businesses that’s totally not the case. COSTELLO: So who is to blame? COSTELLO: Who made that decision? Who made the decision to allow schools to let out, businesses to let out and government offices to let out at the same time? REED: The same way that CNN released their employees, other businesses released their employees. There were a series of independent decisions when they saw that the government was closed and that APS was closing, thousands of businesses decided to release their employees. During the day, there are 1.1 million people in the city, and all of those people left at about the same time, which caused a massive traffic jam that caused a great difficulty. That being said, that being said we got 1 million people out of the city. We have not had any fatalities. We cleared the way of all of our hospitals, all of our police stations and all of our fire stations. REED: No it’s not by the grace of God. COSTELLO: People got out of their cars in icy situations. REED: That’s easy to say from your anchor seat. COSTELLO: No! I was out stuck in the traffic! I was one of those people! COSTELLO: Right now it does. REED: It’s not just by the grace of God, it was through a lot of people working, Carol, I think it’s by the grace of God, and thousands of employees who did not go to sleep last night, who were working very hard all night long. So I certainly said immediately yesterday that releasing all of these folks was not the right way to go. And the only thing I’ve been doing is working constantly, and I agree that God definitely had a role in it. But God needs partners and that’s people who are out here doing their work. REED: — and we’re working right now to clear the freeways, and you know that I don’t have responsibilities for the freeways, but I’m partnering with our state partners to get people off of the freeways. COSTELLO: Okay, well let’s talk about the streets within the city of Atlanta because I drove to work this morning. And some of them are quite icy and frankly dangerous. I have talked to many, many people who say they haven’t seen a salt truck anywhere. Where are they? REED: Well, obviously, there are salt trucks because there’s salt — the streets are salted and done on my route here. So, I drove on the same roads you rode on, and I got here in 20 minutes. I know that we had a fleet of 30 spreaders, we have 40 snowplows, and our crews have been running nonstop on 12-hour shifts. So, of course, there are going to be roads that are icy. That’s going to happen, but what I know is that we are responding in hour one, ahead of the storm. And you and I — you were here during 2011. COSTELLO: Well, let’s talk about that. Let’s talk about that because –I was going to say other cities have these problems. REED: And we have started immediately, so, you know we started immediately. The bottom line is, we’re going to work nonstop, and we’re going to get the city open and operational faster. We are going to partner with the state and we’re going to get folkd off the freeways and we’re going to keep people safe. COSTELLO: Well, I was going to say, other cities seem to have it together when things happen like this. You could argue that cities like Atlanta aren’t used to dealing with weather like this, but it just happened a couple of years ago. So you had a practice run. And some citizens might say, you learned nothing from that, because it was worse this time. REED: And I would say to those citizens that they should go back and look at your CNN tape. That’s just not true. During the last storm, it took days — the city didn’t even have any snow equipment during the last storm. It took days. For the first two days, it was kind of funny like snow days . We were responding immediately. We started deicing the city before the snow ever fell and we are now in day one of this crisis, and we are fully staffed and running 12-shifts. So, as tough as it is right now, it is nowhere near as bad as it was in 2011 where the snow event lasted three or four days. And really, candidly, nothing was done because nobody had any equipment. This time we had 30 spreaders, we had 40 snowplows, we had 70 thousand tons of sand and gravel, we had it located within the city. And what we’re going to do is continue to work and get the city open and operational, and we are going to go out and partner with the state and get folks off the freeways. COSTELLO: If this happens a month from now, and I hope it doesn’t, same scenario, what would you do differently? REED: What we would do differently is definitely stagger all of the closings, coordinate more with the business community, the local school system and the state on our closings so that we don’t have the massive exodus that we had on this occasion that led to a horrible traffic situation that caused people enormous inconvenience. COSTELLO: Mayor Kasim Reed, thank you so much for coming in. I know you have a press conference to hold in just about 10 minutes, so I’ll let you go. Thank you so much. REED: Thank you, Carol. Thank you for giving me a chance to talk to you.